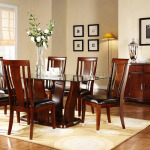 Create a dining room to be proud of with this warm inviting dining table set design. 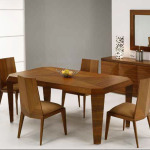 This home furniture will augment the decor of any dining room with its warm finish and modern design. 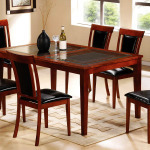 This wooden furniture is made of finest quality of wood which is the perfect fit for any comfortable dining experience. Be the first to review “OD21” Click here to cancel reply.